After all the relaxing in Bariloche and partying in Buenos Aires, I took a cama (bed) instead of semi-cama (half bed) to go from Buenos Aires to Cordoba as a first stop on my North-Argentina itinerary. The cama bed means that the chair reclines more or less completely and the chairs are huge and comfi. Resulting in the fact that I slept like a baby and I was very happy ;-). And a reason to cheer: WHOOP WHOOP I passed my bachelor’s thesis! So now nothing is in the way of graduating 🙂 A great way to start my semester abroad in Peru! 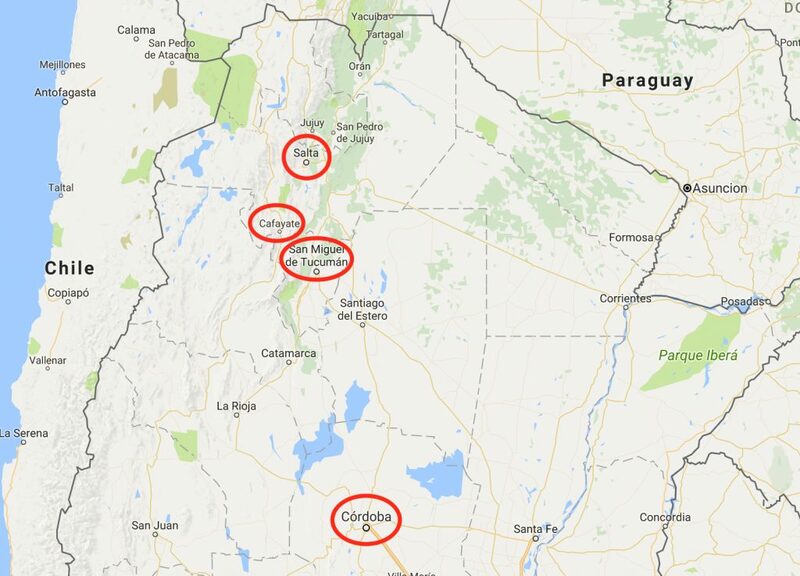 6 Bye North-Argentina, Ready to hit Bolivia! 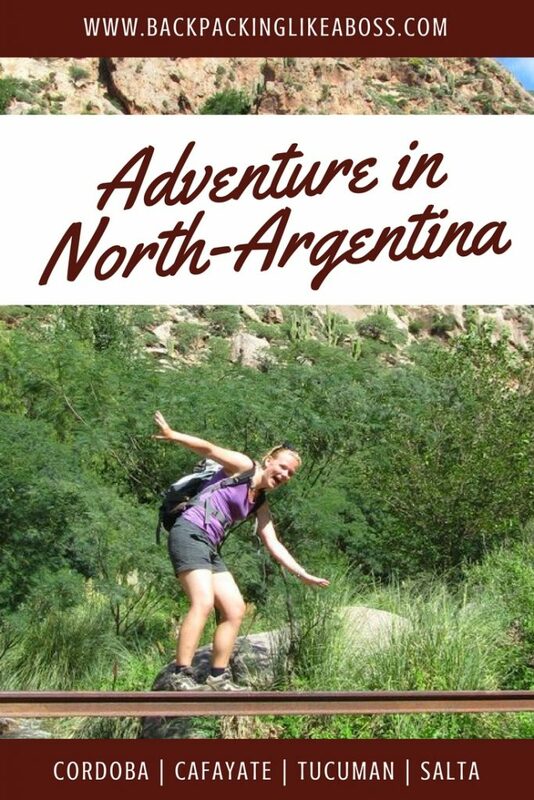 During my time in Buenos Aires, I had the time to figure my North-Argentina Itinerary. I was looking forward to this part of my journey as it would be a bit more friendly to my budget than Patagonia and Buenos Aires had been! I started my trip of North-Argentina in Cordoba, quite a large city. The day I arrived I spent relaxing around the hostel, sightseeing the city and making some friends in the hostel. 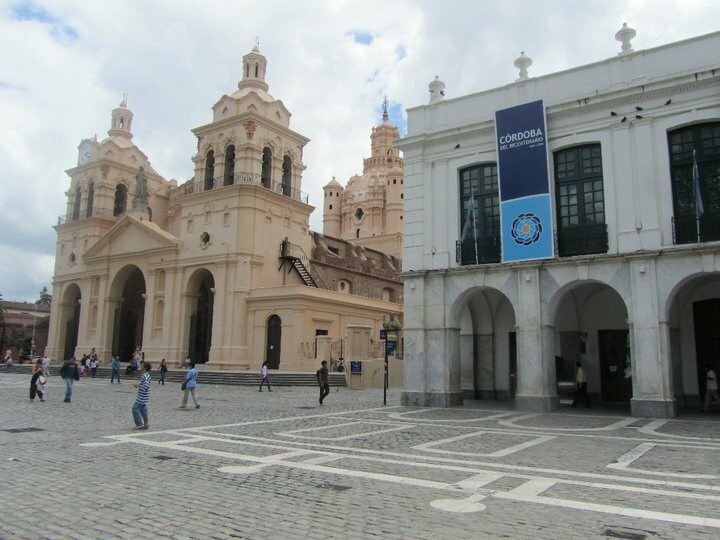 The city is lovely and relaxing, and there are many things to do in Cordoba. And friends I made! On the second day in Cordoba I went mountain biking with two guys from the US and Canada. We got lost after exactly 10 minutes in some dodgy neighbourhood. Luckily the guys were both very tall and strong, so I could safely ask the kids hanging around where we had to go 😛 We ended up doing our intended trip the other way around, but managed to climb all the hills. It was quite an awesome trip! That night it was time for some party in the party zone of Cordoba. Some dancing and beers made for a good night out. Because I didn’t feel there was that much more to explore, next day I already checked out. I hung around all day, visited two museums in town and caught the nightbus to Tucuman. Tucuman itself was nothing special, and I had expected a bit more.The hostel was rather boring and that probably didn’t help the atmosphere. 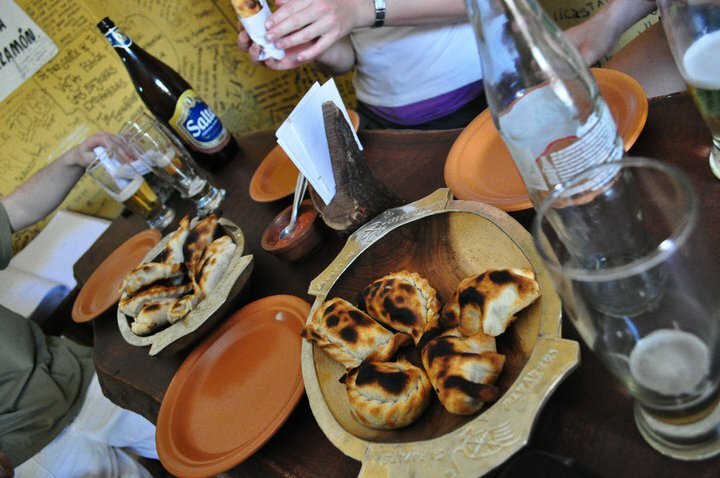 But I do carry warm memories of this place, because I had the BEST empanadas of my trip here!! A little store on the main square, with people cueing outside, I went back inside twice to get some more empanadas! Otherwise, there not much going on so I was happy to leave next day to Cafayate. 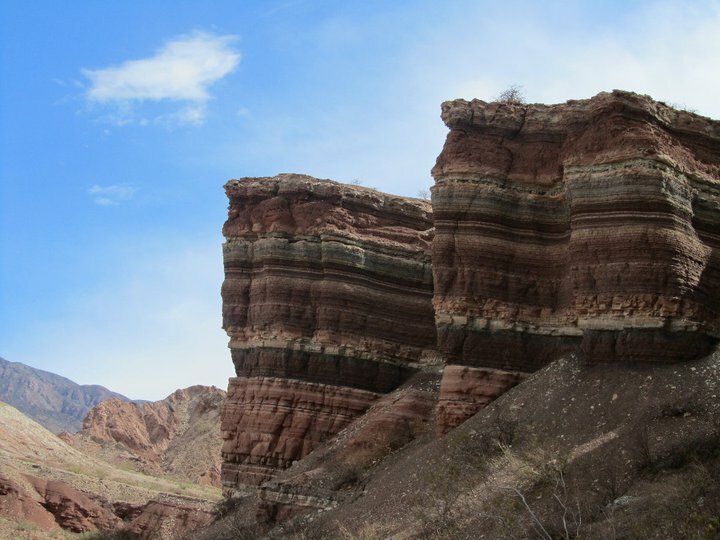 Close to Tucuman and on the way to Cafayate, you will cross through the town of Tafi del Valle. So small but so pretty! A shame I couldn’t stay here longer than the 30 minutes pitstop we had there. A beautiful pitstop in Tafi del Valle – and eating empanadas again haha! Cafayate is a small pueblo (village) in the desert, surrounded by vineyards (bodegas) and mountains. I love small towns that are surrounded by adventure, so I was in for a treat! I met some Frenchies on the bus and we met up to have dinner that night. We arranged some things for the next day. 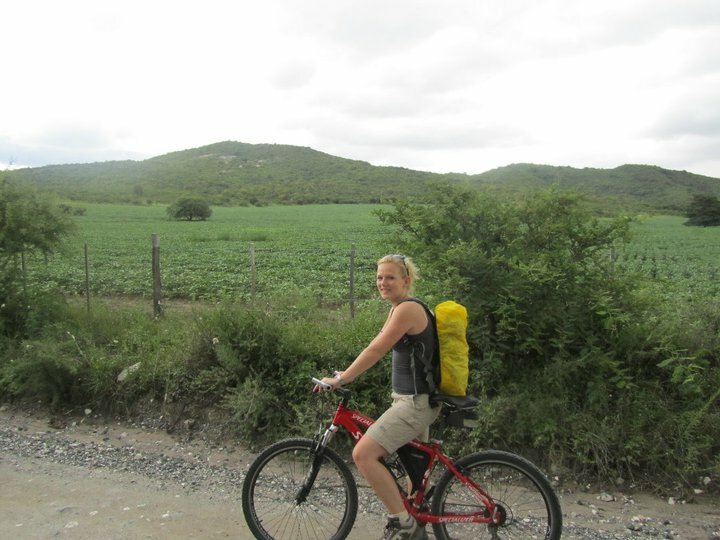 In the morning, we would rent some bikes and go for a hike, and late in the afternoon we would do a tour to the surrounding mountains. After I met an Australian girl in the hostel, we took off with the 5 of us the next morning. We took a mountainbike (without gears) and rode up 6 km to the start of walk to several waterfalls. What we didn’t know is that we were climbing several hundred meters, so it took us more than an hour with these heavy old mountainbikes. But then the real adventure started – jumping across rocks, crossing rivers, rock climbing to arrive at the first of 8 waterfalls. 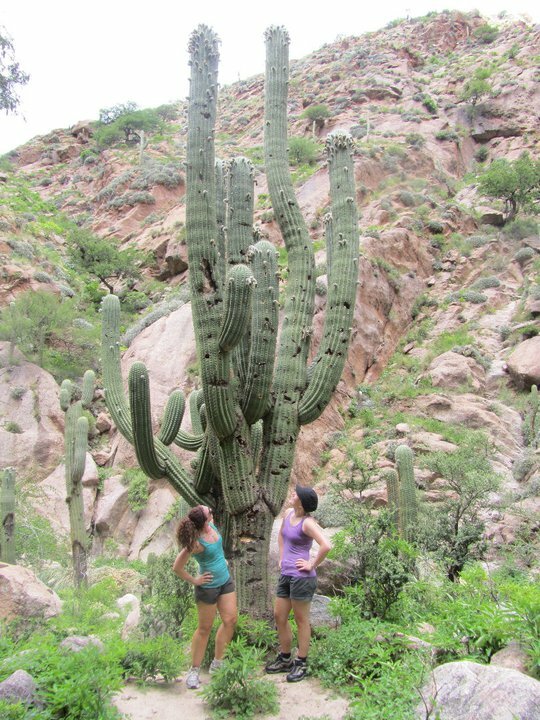 It was a very varied hike, and we had lots of fun taking pictures! The waterfall was a very pretty sight, and we did some swimming in the natural pool in the river. Unfortunately we didn’t have much time, because at 14h00 we had to be back in time for our tour to the Quebrada de Cafayate. 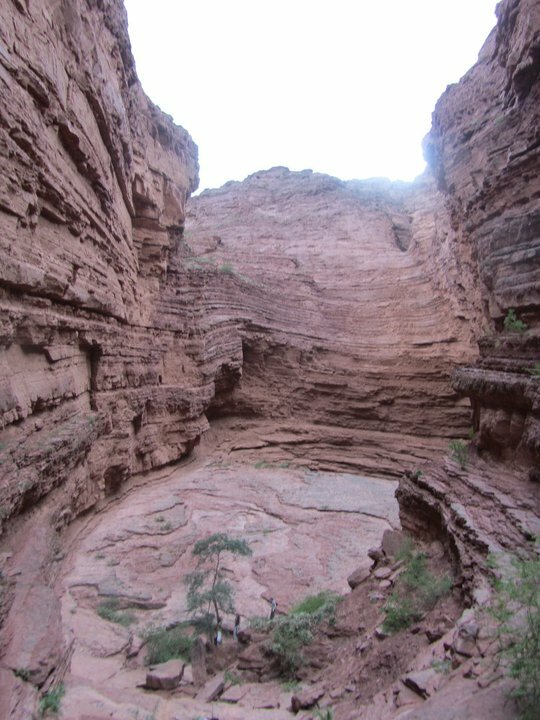 This Quebrada is also called the Grand Canyon of Argentina. It’s a deserty, rocky area with great rock formations and colors. Although I was already spoiled in Western-Australia, it was a great tour and we had a lot of picture fun!! The Garganta del Diablo was very impressive, and also all the coloured rock formations we saw along the way. You can also cycle the Quebrada de Cafayate but again the bikes are not great. 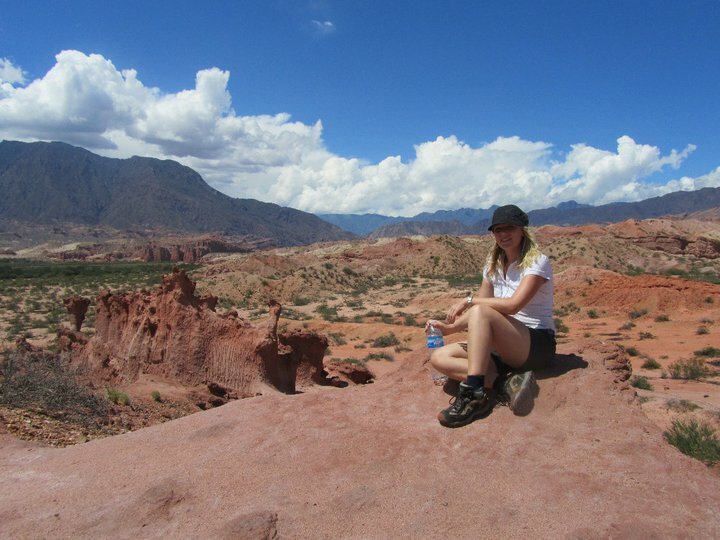 But in short: Cafayate was one of my favourite stops in the whole of Argentina!! Next day I took a bus to Salta, one of the most northern backpacker destinations. Again, like the last few bus rides, it was an amazing one! Travelling during the night has several advantages (no pay for a hostel, no lost time) but sometimes travelling during the day is so worth it! Through lush valleys, across deserts surrounded by beautiful mountains, perfect! So now I’m in Salta. Today, together with a French girl, I went to the Cerro San Bernardo at 1500 meters. An easy walk from town, a nice restaurant on top. Then we went to the famous MAAM museum in Salta. In this museum, you can see some mummified kids. They were once offfered for fertile ground. It was an overpriced museum, but it was interesting to see how the kids have been found on the top of a volcano close to Salta and what ornaments were found next to them. 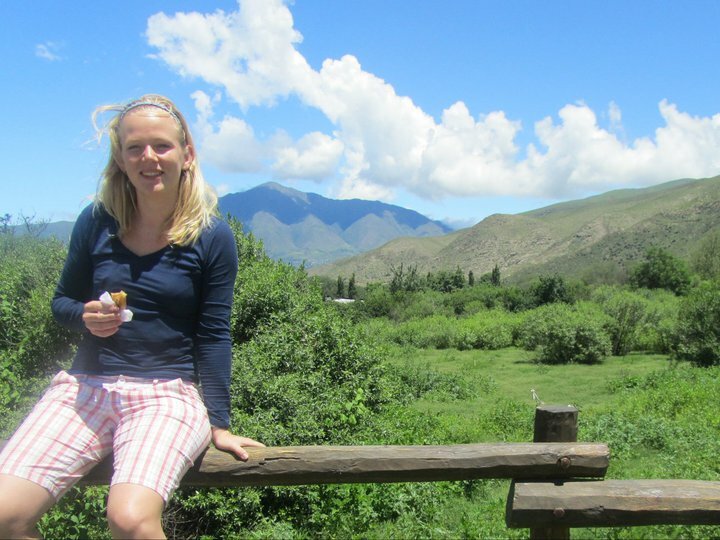 Between Salta and Bolivia there are also a couple of cool places to visit near Jujuy. I would definitely look into visiting the Pucara de Tilcara in the small mountain village of Tilcara. Unfortunately I had to skip them due to time pressure but I heard good stories about it! Bye North-Argentina, Ready to hit Bolivia! Although North-Argentina was a blast I finally found a crew to hit Bolivia! A Belgium guy, two UK girls and me will leave tomorrow night to the border and cross to Bolivia to get to Tupiza. After some acclimatizing (going up to 3000 meters) we will do the famous Salar tour. Then Sucre, La Paz and Cusco and then it’s Lima time! Pin this blogpost to your pinterest board to come back to it any time! Tupiza, the famous Salar tour, Sucre, La Paz and Cusco, ik heb ze allemaal gegoogled en filmpjes bekeken, impresionante!! My blog contains articles and links to and about several companies and products. I do this to be able to finance and maintain this blog. I only recommend products or services that I have used myself. If you have any questions about the links or articles, feel free to drop me a message!